This is such an exciting giveaway! 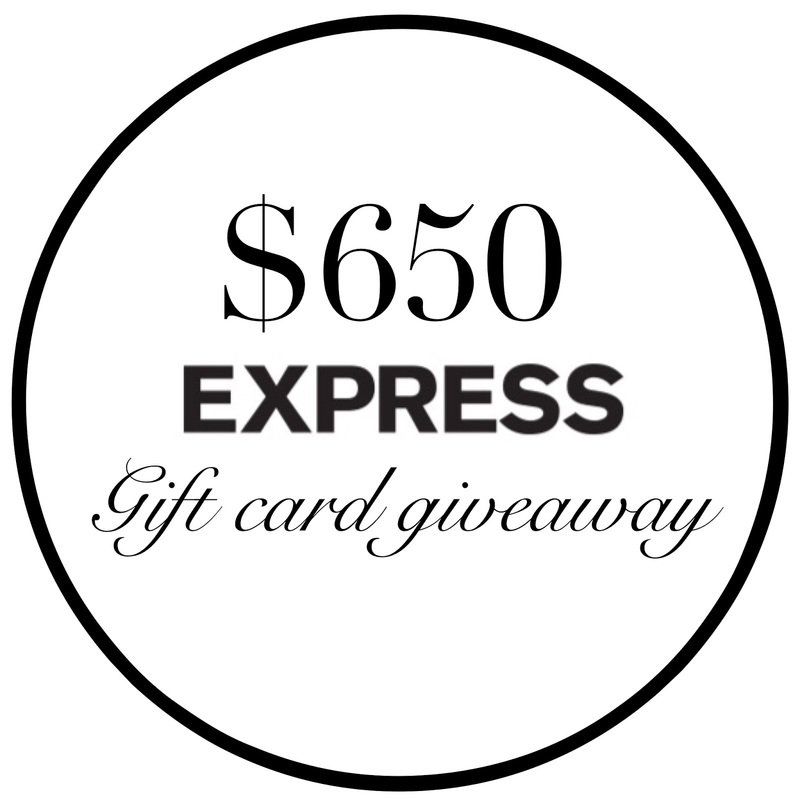 I've teamed up with some of my fellow bloggers and Express enthusiasts to give away a $650 dollar E-gift card to one of my favorite (and most shopped in) stores. This is a great opportunity for one lucky reader, but it's also a special way for us to give a thank you to our wonderful friends and readers. 1) It begins today and will end on Monday, December 8th at 11:59 pm central. 2) The winner will be announced on Wednesday, December 10th. 3) This is open to both U.S, and Canadian residents, but the total of the E-card is $650 USD. So happy to have to cohosting with us! It's been a great year! Perfect giveaway - I could definitely find a way to spend it! I wish you ladies luck!